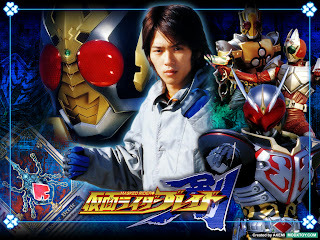 Yup I'll say I've just started with Kamen Rider Blade. Too bad I can't find any sources to get any Chinese drama with subs to watch so I can review them. Now here's my earlier thoughts- unlike Hibiki I was magnetized to watch four episodes a day and the concept of the Undead is pretty interesting. Just my thoughts- what's this conflict all about? Now trying to find out how this Toku drama will go. The Makamou concept is pretty creepy and has some nightmare fuel. I wish more Riders will have that. In this case, this is pretty Japanese and I love all the huge monsters involved which the Riders have their creative way of defeating them. For me the whole concept of music as a weapon is cool while some people find it weird. Sometimes a teamwork of Hibiki and his fellow Riders happen in order to defeat more powerful Makamou. It's all about the plot. Having some mysteries, things you can relate to real life and just the right pacing makes things enjoyable. Kuuga and Agito are all about mysteries, stuff you can relate to real life and just the right pacing. In fact, having some mysteries that don't contradict each other is essential. When a Kamen Rider has ALL those annoying plotholes, it becomes really annoying. Quality acting. Yup that's another factor that makes Kamen Rider really memorable. IMO Agito's acting is really that good then again, Kuuga has also acting that good. 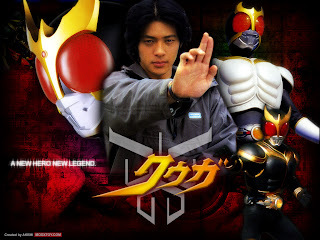 For one, I would attribute that good acting managed to make Kuuga and Agito a success aside from the rather complex stories moving in just the right pace for fans to follow. Well this is a broad topic but I thought I was inspired to write this entry from this entry by Fantasy Leader on why Tokusatsu acting matters. Just my thought- it SHOULD also matter in TV Drama as well not only to Oriental drama but to all sorts regardless of country. Like it or not, TV Drama requires a lot of emotions. Here's another Ambrose Xu drama and this what I'd say, I liked it the first time and disliked it the second time because part of me was hurt was it? Well I did like a girl who looks like the lead and lost her to a guy who looks like the leading guy. So yeah, I was "Xiao Gang" in the whole story. The story starts with sad opening where we discover that the leading lady Tian Bian (whose original name we never know) is the lovechild if of the Hsu family and of course, this angers her grandfather who was irritated at his son's own infidelity. So later, the Hsu family adopts an orphan who we know was never related to them namely Xerya and he becomes a Hsu but is trained to call his foster mother Li Hong as "big mother". Li Hong has been bitter for a number of years due to her husband's infidelity. Li Hong has one daughter Shan Ni played by Penny Lin. 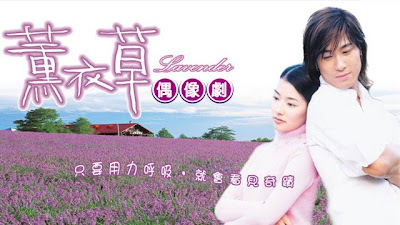 Well I haven't written a drama review until my subconscious unlocked something again... this time it's the Taiwanese drama Lavender. This featured one of my earlier crushes Tammy Chen and Ambrose Xu where the story features Yishin and her older sister who both suffer from a heart attack. Really I feel pity over these girls and just countless buckets of tears tend to pour out. Actually it isn't Qiong Yao's writing but still, it felt like it. The story of Yishin and Qingchuan (who takes the screen name Leo as he grews up) is when they are still children, so really how many childhood dramas do come to life? In this cae, Qingchuan falls for Yishin when they were just kids and he protected her from bullies. Really children can be so cruel to bully other people because of certain defects like having lower income or bad health. What losers. Yup she is part of the karmic cycle. When she vows revenge on her father and her father's latest wife Xueqin, everything goes for the worse like when she started dating Shuhuan for revenge. That of course causes a serious conflict. In the original novel, she and Shuhuan are never reconciled teaching a hard lesson revenge does more harm than good. This is my favorite song in the whole Romance in the Rain series. In fact, while I love the opening and ending song, this song really touched my heart the most. It describes the patient love Yiping has for Shuhuan as the latter prepares to leave for battle with her half-brother Erhao (who is waited upon by Fang Yu). And keep saying, "Take care, Take care!" And keep saying, "Don't see me off, Don't see me off!"